The innovative PowerShot SX30 IS bridges the gap between digital still cameras and digital SLRs with the world’s first 35x optical zoom (24 – 840mm) lens in a compact camera. Let the camera do the work using intelligent Smart Auto which will analyse conditions and select one of 28 scenes to help you take the best picture. Alternatively, take control in full manual mode. With complete control over exposure settings you can really make your photos your own, exploring not only the full potential of this powerful camera but the limits of your own imagination. The PowerShot SX30 IS showcases Canon’s optical expertise with an ultra-wide 35x optical zoom – a world first for a compact camera. With a zoom capability equivalent to a 24mm x 840mm lens and a huge 14.1 megapixel capacity, you can really explore your creativity. From breathtaking landscapes to long range close ups and sharp macro photography, you have the power to capture truly stunning photos, and view them back on a 2.7″ vari-angle PureColor II VA LCD screen. The PowerShot SX30 IS incorporates Canon’s best-in-class Image Stabilisation technology with outstanding hand-shake correction to keep your images clear and steady, even at super high zoom. So whether you’re catching life in motion, taking a close up or shooting in low light, the 4.5-stop Image Stabilizer and hybrid macro photography means you can be sure you’re getting the best possible shot every time. Zoom Framing Assist keeps focus on subjects and re-locates them if they move. With such an incredible zoom capacity keeping track of distant or moving subjects when shooting with long zoom could pose a challenge. This is where Zoom Framing Assist steps in. If you have zoomed in on a subject and then it moves you can just press a button and the camera quickly zooms out, relocates the subject and zooms back in to re-capture it in the frame – ensuring the perfect shot is not missed. This feature is especially useful at full zoom where subjects can easily be lost due to the small angle of view available at 840mm. So if you are a nature enthusiast or like to take photos on safari (where you often only have one opportunity to get the perfect shot) you will find this feature invaluable. 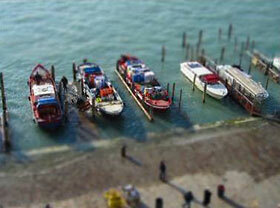 Miniature Effect transforms normal landscapes into miniature look-alikes. With the PowerShot SX30 IS you can now create breathtaking, 720p High Definition movies with stereo sound at the touch of a button. The Voice Coil Motor (VCM) allows you to zoom during recording with minimum audio interference, while the intelligent Dynamic Image Stabilizer is designed to reduce the effects of camera shake if you need to move with your scene. You can also experience a cinematic playback of your stills and videos on a high-definition monitor or HDTV via a HDMI connector – so every colour can be appreciated as you intended them. Using the various shooting modes in movie can add an interesting dynamic to your footage. In Smart Auto mode, the camera automatically analyses conditions and selects the optimal settings from 21 different options – so you don’t have to. And Miniature Mode adds a completely new dimension to video – resulting in dramatic and compelling miniature-style, timelapse videos. The PowerShot SX30 IS opens up a world of filter and lighting possibilities including a hot shoe allowing accessories such as Canon Speedlites and flash guns to be used plus the option of a 67mm Lens Filter Adapter, giving you the same creative freedom you’d expect from an SLR. So whether you need protection from UV glare or just day-to-day life, simply screw on the adapter to use any filter. The PowerShot SX30 IS features upgraded Smart Auto technology which automatically analyses shooting conditions and applies the scene most suitable for your frame, now from 28 specific variables – so you focus on capturing the perfect shot. It also detects movement of subjects in a scene, activating Servo Auto Focus and Auto Exposure to ensure that the focus and exposure are locked onto them if they move. With Smart Flash Exposure, flash levels are controlled according to shooting conditions, ensuring perfectly exposed shots in all situations. Canon’s advanced technologies incorporate numerous creative shooting modes. Miniature Effect makes landscapes appear ‘model like’ for an interesting perspective and Fish-Eye Effect gives the effect of a fish-eye lens for an artistic view of landscapes and subjects. Because Canon understands that taking photos is only half the fun, it supports both SDXC and Eye-Fi memory cards. With storage of up to 2000 gigabytes, the SDXC card allows you to snap away without worrying about running out of memory, and the Eye-Fi card lets you transfer pictures and videos online, directly from your camera, via its own Wi-Fi transmitter. You can also use the mini HDMI cable to play your HD videos on widescreen TV or send them wirelessly to your own PC. The fast processing capability of the DIGIC 4 processor facilitates a range of technologies which enhance the quality and creativity of your images. It enables intelligent evolved Face and Object Detection Technology, which finds and tracks moving subjects until you’re ready to shoot, adjusting the camera settings for optimal results. Faces will have natural-looking skin tones and additional Blink Detection lets you avoid the disappointment of mis-timed people shots by displaying a 3 second warning if a person in the frame has their eyes closed. Red-Eye Correction is an integral feature to ensure flawless photos as well as Canon’s i-Contrast feature, which offers improved contrast and greater detail in tricky lighting conditions. Capturing self-portraits has never been easier with Smart Shutter, which utilizes Face Detection Technology, allowing you to trigger the shutter using a smile or a wink of the eye. With Face Self-Timer, you can set the camera to shoot automatically after detecting a new face in the frame, meaning nobody’s left behind in group shots. And if you’re at a more advanced level and require additional levels of creative control, the PowerShot SX30 IS also offers control over shutter speed or aperture settings in Tv and Av modes respectively.